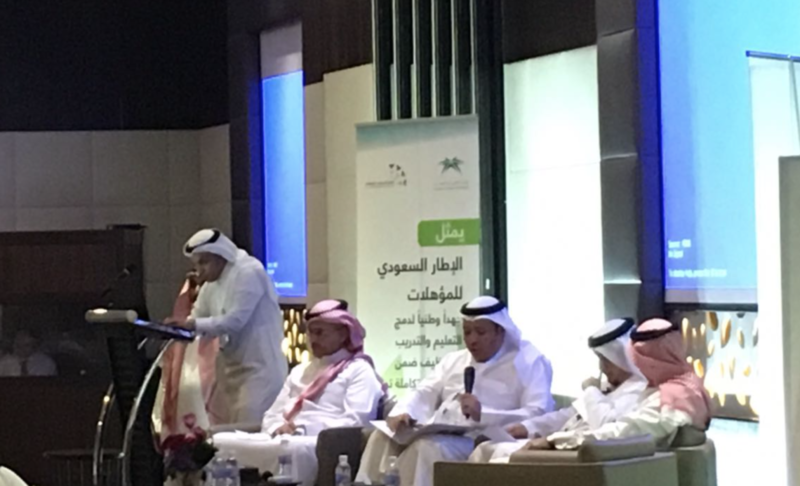 RCQE Deputy Director General, Dr. Omar Jalloun, presented a paper in the “Forum of Saudi Framework for Qualifications: collaborative organization and future vision”. 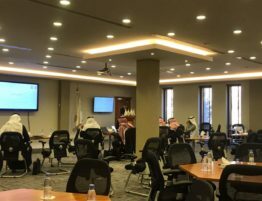 The forum was held on Sunday 5/3/2017 in the Executives Hotel in Riyadh. 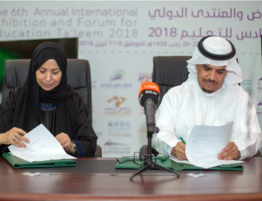 The paper title is “The Saudi Framework for Qualifications from an International Perspective & the Role of UNESCO RCQE to achieve the alignment with the international qualification frameworks registered in UNESCO Inventory”. 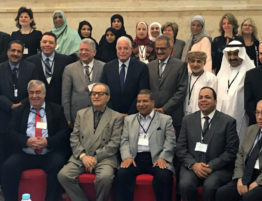 Dr. Jalloun pointed out that all national frameworks in UNESCO Inventory aim at ensuring the quality of education outcomes and using level descriptions as a benchmark for designing qualifications and ensuring the quality of their outcomes. Such frameworks also support learner mobility among national levels and frameworks in different countries. 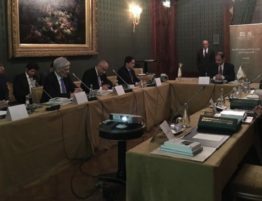 Moreover, RCQE Deputy Director General highlighted the importance of registering the Saudi Framework in UNESCO Inventory. 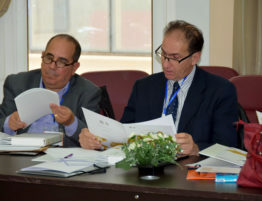 He clarified the benefits to be gained from this registration such as: the national and international acknowledgement, the facilitation of the alignment process with other national frameworks, promoting the international understating of the framework and its levels and descriptions, learning from the best practices and similar challenges in other countries, sharing relevant studies and research, and enhancing the usage of the internationally agreed upon expressions and standards.